Adikteev, a Paris, France-based marketing platform, acquired 100% stake in Trademob, a Berlin, Germany-based mobile programmatic demand-side platform. With its programmatic demand-side platform (DSP), Trademob will enhance Adikteev’s portfolio with a predictive engine and technology for dynamic creative optimization (DCO). Trademob will benefit from Adikteev’s sales team, especially in France and the US. In addition to long-term Trademob clients such as eBay, Scout24 and Delivery Hero, campaigns are now also being run for Uber, Blizzard and Amazon in the US via the platform. As a DSP, focus will continue to be placed on mobile user acquisition and app retargeting. Following the deal, Trademob founder Mark Kamran will remain as Managing Director of Trademob taking up a seat on Adikteev’s board. The company’s institutional investors (Kennet, High-Tech Gründerfonds and Tengelmann Ventures) have received shares in Adikteev Group. 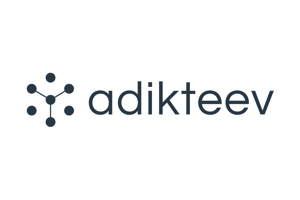 Founded in 2012 by Xavier Mariani, Emilien Eychenne and Frederic Leroy and backed by French venture capital firms ISAI and Ventech, Adikteev provides Machine Learning driven marketing platform that allows brands and marketers to engage their audiences, acquire new qualified users and reengage dormant users. The company, already active for German companies such as LIDL and Volkswagen, has over 80 employees, 30% of whom work in R&D, and generated revenues of over €17m in 2016.